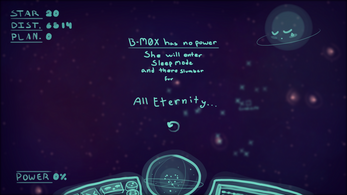 B-M0X is an adorable space probe searching for her way home. An unknown phenomenon has transported her across the cosmos, far from the world she knows. 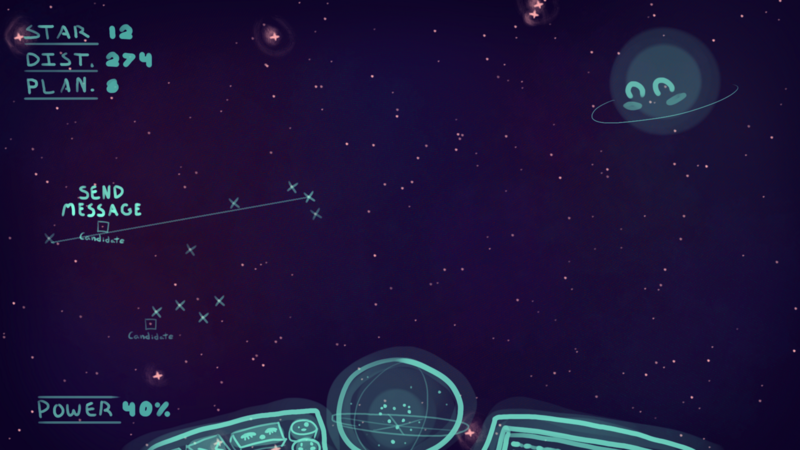 She must use her instruments to attempt to find Sol, and send her message back to Earth. Click stars to scan them. 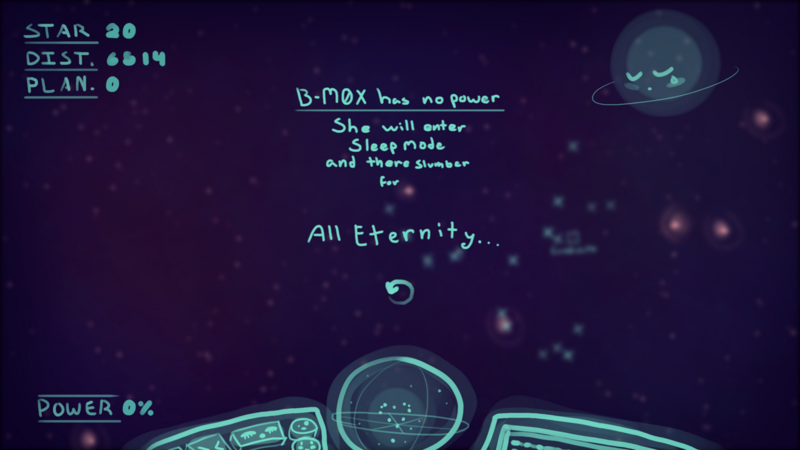 B-M0X recognizes certain stars, so when she scans them she will project an approximate line between there and the Sun. She can use this knowledge to pinpoint the Solar system's location, but she must be careful not to expend all of her power! View the messy source on GitHub!